Bethany Presbyterian Church began life in 1894 as an outreach mission by members of the First Presbyterian Church of Lancaster. Bethany was formally chartered as a congregation of 130 members on its present site in March 1903. The Rev. Robert Lorenzo Clark was installed as its first pastor in June of that year. The congregation and church school grew rapidly, and by 1913 there were 115 children in the Sabbath School. The Rev. Harry Ulrich was installed as pastor in 1919, and by 1929 the congregation had grown to 520 members. In 1930, when the Rev. Theodore Meek was installed, the congregation had outgrown its current building and plans were formalized for a new building. The building was completed by the spring of 1932 at a cost of $19,661. 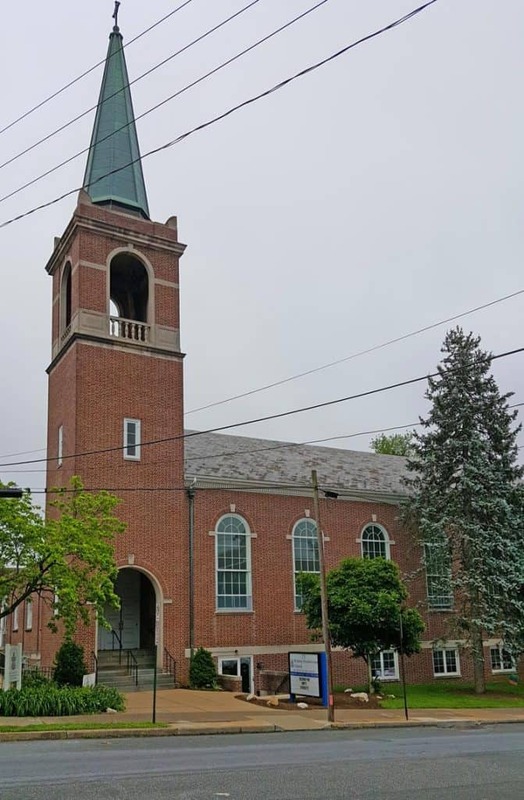 On an historic note, in 1948, Bethany became the first Presbyterian Church in Lancaster County to ordain and install women Elders, Margaret Johnstone, and Mary Nissley. Bethany was on the cutting edge of recognizing the role of women in the larger church. In 1955, a new 400 seat sanctuary was built, and by the time the Rev. Robert Jewett was installed as pastor in 1959, the membership of the congregation was over 700! The Rev. John Wesley Anderson (affectionately known as “Revie”) was installed as pastor in 1968. During Rev. Anderson’s long tenure, Bethany became home to the S. June Smith Center, a school for special needs children. “Revie” retired from active service in 1993. The Rev. John Bowe was called as pastor 1996. Under his leadership, many changes were made to the building and new programs were added to the ministry of the Bethany congregation. Upon his retirement, the Rev. Laura Kelsey became the pastor. In 2011, Rev. Kelsey was called to a new pastorate in Florida. In March of that year, the Rev. Kent Holmes became the current pastor of Bethany Presbyterian Church. In the past two decades, Bethany has opened its doors to multi-cultural ministry. The Oromo Evangelical Church of Lancaster – an Ethiopian congregation – and La Iglesia de Resurreccion – an Hispanic congregation – also make Bethany their home. In addition, the congregation hosts an active Scouting program, and opens its doors to several recovery groups.